Mosaic Rehabilitation is a locally owned and operated clinic that focuses on a team approach in order to provide the highest quality of care. Our team of experienced and highly trained physical, occupational, and speech therapists provide specialized and individualized treatment plans in order to improve functional performance and help clients of all ages reach their full potential. Heidi continues to practice as a PT, but the majority of her time is spent running the clinic. She still enjoys treating clients of all ages and has experience in many areas including geriatrics, pediatrics, women’s health, functional movement impairments, acute and chronic pain, sports injuries, IASTM, and vertigo. Heidi grew up in Alaska and originally came to MSU for Nordic Skiing, where she met her now husband, Logan. They live in Belgrade with their 3 sons, who keep them busy with school, sports and activities. Heidi’s black Lab, Jimmy, can frequently be found snoozing at MOSAIC. January joined the MOSAIC team in 2010. She is now the Office Manager and runs the day to day activities and billing needs of the clinic. January is a Montana native and graduate of MSU. She has traveled throughout the US while her husband was in the Military, but now lives with her husband and 3 children in Belgrade. Her two oldest daughters attend MSU and her son keeps them busy with his sports and traveling. Hillary was born and raised in Montana. She has over 13 years of experience in Early Childhood in a variety of settings. She loves working with families and recently decided to expand her role to include adults and healthcare. Hillary is excited to join the MOSAIC team, she eager to learn, grow and help the therapists and families she meets. She keeps busy with her husband and 2 dogs. They enjoy the outdoors, working on home improvements and finding adventures. Rhiannon has been a pediatric physical therapist at MOSAIC since 2009, in which time she has developed her clinical expertise through dedication to the well-being of her patients and the community. 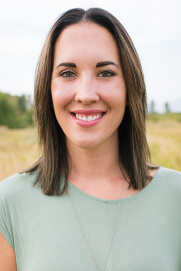 Rhiannon graduated from Montana State University, Bozeman in 2004 with a BS in Psychology and was immediately accepted into the accredited physical therapy program at Eastern Washington University, where she graduated as a Doctor of Physical Therapy (DPT) in 2007. Her experience has advanced her knowledge and proficiency at treating pediatric neurological, musculoskeletal, and orthopedic disorders, especially in birth to 5 years of age. Rhiannon’s professional interests include gross motor delay, neurological conditions, balance and coordination impairments, torticollis and plagiocephaly, and toe walking. 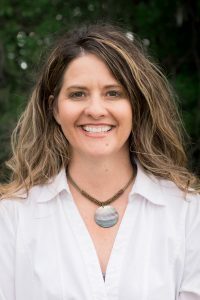 Raised in the Gallatin Valley, Rhiannon takes advantage of the Montana culture and climate by spending time outdoors with her husband, son, and bulldog. She is a longtime Seahawks fan who loves sports. Kristina (Tiina) Smith received her BS in Occupational Therapy in 1981 from Colorado State University. She practiced in both Colorado and Wyoming, before relocating with her family to Montana. Tiina worked as a school based Occupational Therapist (OT) for many years in the Gallatin Valley prior to joining MOSAIC in 2011. During her extensive career, she has developed a wide range expertise in Pediatrics. 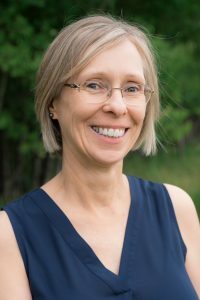 Tiina’s professional interests include visual and ocular motor skills, spectrum disorders, sensory processing, and early childhood development. Tiina is originally from the Denver area, but after moving to Montana, she and her husband made Belgrade their home. They have raised 5 children and now enjoy being grandparents to a growing family. 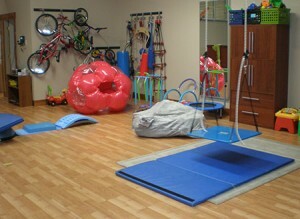 Erin Russell graduated from Pacific University with a Master’s of Occupational Therapy in 2007. She has been with MOSAIC since 2009. Erin has grown and developed her knowledge in both the pediatric and geriatric populations over the years. She continues to enjoy working in both fields. In the geriatric field, Erin has continued education in the treatment of persons living with dementia, pulmonary rehabilitation, and general physical disability. In 2016, Erin completed LSVT BIG certification and additional trainings to support individuals living with Parkinson’s disease in meeting their functional goals. Erin also has an interest in support and treatment of patients who have experienced a stroke. 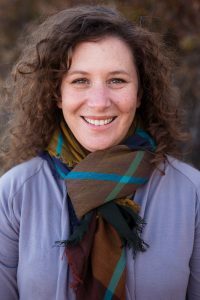 In the pediatric field, Erin has additional training and education in the treatment of feeding disorders, visual disorders, and specific methods of play-based and relationship training for children with behavior struggles and delays in development. Erin enjoys working with families to achieve their own version of balance and support for their children’s growth and development. Erin, her husband, and son enjoy the Montana Outdoors. They keep busy with school activities and spending time with family and friends. Zillah has extensive experience assessing and treating varied speech and language disorders in the pediatric and adult/geriatric population. Zillah received her Bachelor of Science degree with distinction from the University of Alberta and Master of Arts degree from Western Illinois University. 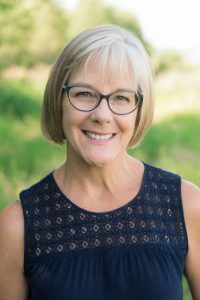 She has provided services in hospitals, specialized schools, skilled nursing facilities, home health agencies, and private clinics in Alberta, Colorado, Baltimore – Washington Metro area, Tennessee, and Montana. She has also served as a healthcare consultant, Director of Rehabilitation Services, and has had her own practice. Zillah has recently gained expertise in assessing and treating reading/writing disorders in the language learning and dyslexic population using an integrated approach including the Orton – Gillingham method. Alyssa graduated with an M.S. in Speech-Language Pathology from the University of Montana and has been working at MOSAIC since 2012. 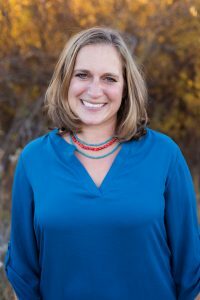 She is also a licensed Certified Lactation Counselor and helps babies and families with breastfeeding difficulties, including those associated with the tongue, jaw, lips, cheeks, and palate, which may impact the baby’s latch. Alyssa also assists with bottle feeding, supplemental needs, and the transition to solid foods. Alyssa’s professional interests include working closely with children who have dysphagia, or swallowing disorders. In addition to her clinic hours, Alyssa has over 54 continuing education hours in feeding and swallowing, along with specific NICU feeding education. She also provides services to children that require tube feedings and assists families by teaching, demonstrating, and encouraging safe oral feeding and drinking. Working in a hospital setting for almost 5 years has given her additional clinical experience when assessing and treating adults with swallowing and cognitive difficulties and disorders. Alyssa also enjoys working with children who have articulation and phonological disorders, language delays, and neurological disorders. She has completed education and training to be certified in It Takes Two to Talk — The Hanen Program®, which helps parents work with their children who have speech delays. 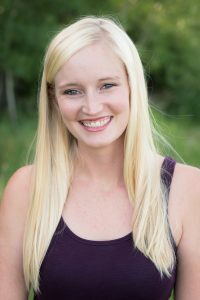 Raised in the Gallatin Valley, Alyssa enjoys mountain biking, hiking, snowboarding, and spending time with her family. Lindsey graduated from the University of North Dakota in 2007 with her Masters of Occupational Therapy. 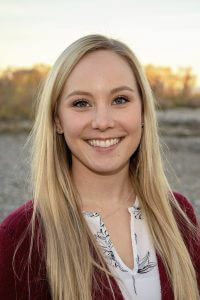 Prior to attending graduate school, Lindsey attended Montana State University where she obtained her Bachelor’s degree in Health and Human Development with a focus on biomechanics. Lindsey has been a practicing pediatric therapist since 2008, and she joined the MOSAIC team in the fall of 2013. Lindsey’s professional interests include pediatric neurological disorders (cerebral palsy, spina bifida, epilepsy) in addition to fine motor delays, sensory processing, and visual perceptual and visual motor concerns. Lindsey was born and raised in Montana. She lives with her husband and two children. 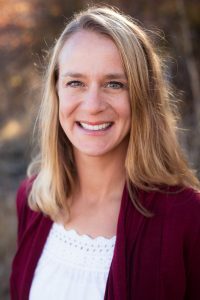 Lindsey enjoys all the activities that Bozeman has to offer, especially trail running and teaching her children the love for the outdoors. 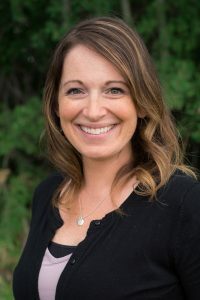 Originally from Rudyard, MT, Tia earned her Doctorate in Physical Therapy from the University of Montana in Missoula, MT where she was the recipient of the Goodman Deserving Student Award. 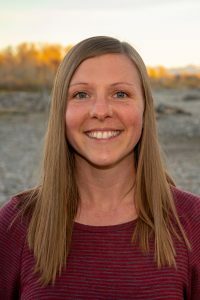 Prior to attending the University of Montana, she received a Bachelor of Science in Health and Human Performance – Exercise Science from Montana State University in Bozeman. Tia’s professional interests include hypermobility disorders, orthopedics, geriatrics, manual therapy, dry needling, and pain science and education. She was a co-author of ‘Falls Prevention in Community Dwelling Older Adults’ for the Geriatric Education Center at the University of Montana. She has presented to several collegiate and high school sports teams to promote awareness about prevention, management, and long-term consequences of concussions. Being from a rural community on the Hiline, Tia is very proud of her roots. She is an outdoor enthusiast and enjoys hunting, fishing, camping, and hiking with her dog, Remi. Elly returned to MOSAIC after fulfilling her last clinical affiliation with Amanda Fehrer and Rhiannon Ohman while in physical therapy school. Elly has never lived anywhere besides Montana, as she grew up in the small town of Reed Point, MT. She attended Carroll College (Go Saints!) in Helena and earned her B.A. in Community Health. She then went on to earn her Doctorate of Physical Therapy from the University of Montana. Elly loves to work with women’s health populations, including pre- and post-partum care, pelvic pain, stress and urge incontinence and general pelvic floor dysfunction. She has taken multiple courses on these topics to continue to improve her practice in this field. In her spare time, Elly enjoys hiking with her husband, Taylor, and their lab, Baja. She also enjoys playing basketball, running, attending Pure Barre classes, and spending time with her wonderful family in Reed Point. 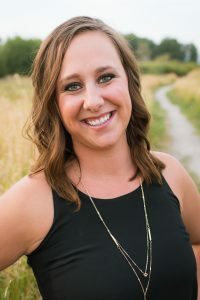 Morgan graduated from the University of Washington with a Bachelor’s degree before completing Eastern Washington University’s Masters of Science degree program in Communication Sciences and Disorders. She presented her graduate research at the national American Speech-Language Hearing Association (ASHA) conference last year. Morgan completed her Certificate of Clinical Competence while working in Early Intervention and outpatient pediatrics in Washington state. She reunited with the MOSAIC team in 2018 after completing her final graduate internship under Tiffany Barber one year prior. Morgan’s professional interests include augmentative and alternative communication, early language, fluency, family education, childhood apraxia of speech, aural rehabilitation, and articulation/phonological disorders. She has completed continuing education in PECS – Picture Exchange Communication System, Adverse Childhood Experiences, and DTTC – Dynamic Temporal Tactile Cueing. Outside of work, Morgan enjoys spending time with her husband, Alex, and black lab, Penny. She is learning to fly fish and loves exploring the outdoors of Gallatin Valley.